Written by andy bartotto on Friday, September 2nd, 2016 at 3:29pm. 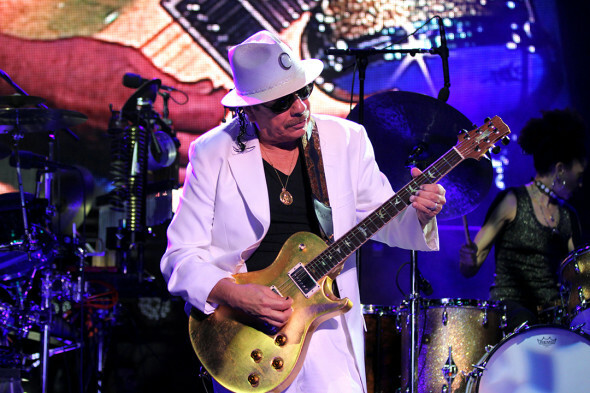 From his humble childhood in Jalisco, Mexico, to playing clubs Tijuana, then on to San Francisco, Carlos Santana has become one of the most legendary guitarists/performers of all time. Carlos’ big break came when he gained the attention of Bill Graham, who eventually arranged for his band, Santana, to perform at the Woodstock Music and Arts Festival, even though their debut album hadn’t been released yet. Sounds like such a great show. I really wish I could see him live someday.